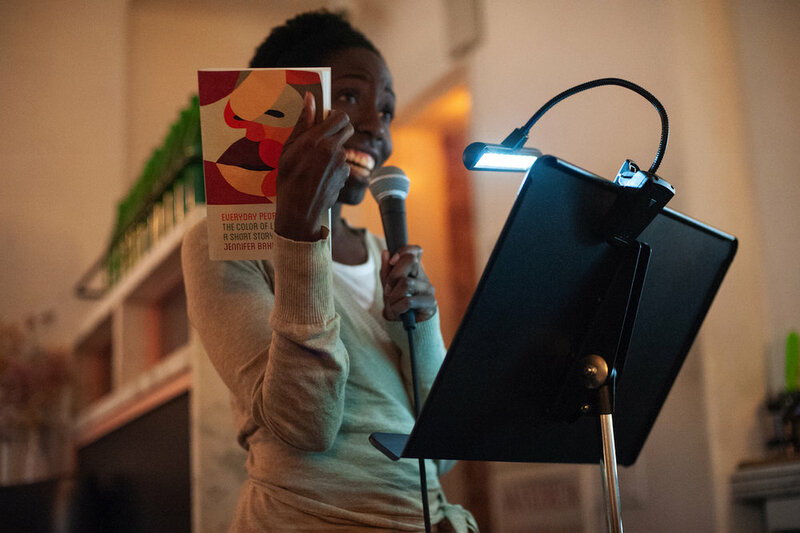 Photo of Freya Project Reader Jennifer Baker with her own book “Everyday People.” Photo by Keira Chang. Meet these women and hear their own stories. join us on Thursday, March 28, 5pm-7pm at Spartan Shop for an inspiring reading event that raises essential funds for the Women’s Justice Project. Chelsea, Aja, Genevieve, T Kira and Kimberly will all read about a time they changed course.